Looking for Great Deals on Studio Apartments? 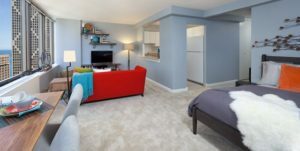 Looking for great deals on studio apartments near downtown Chicago? Here are a few of the hottest specials in River North, Streeterville, Gold Coast, and West Loop! It gets even better- all the listings below are pet and dog friendly apartments! Property 75 in the Gold Coast is a charming, classic building that just remodeled its units and fitness amenities! If you value great finishes, storage space, and location as your top priorities in your apartment search, this building could be the right fit for you! Bathrooms have gorgeous white marble, lighted mirrors, and jetted tubs. Most studio layouts offer high ceilings, great closet space, hardwood floors, and separate kitchens with breakfast bars. Do you have a queen sized bed and lots of clothes? Check out property 75! 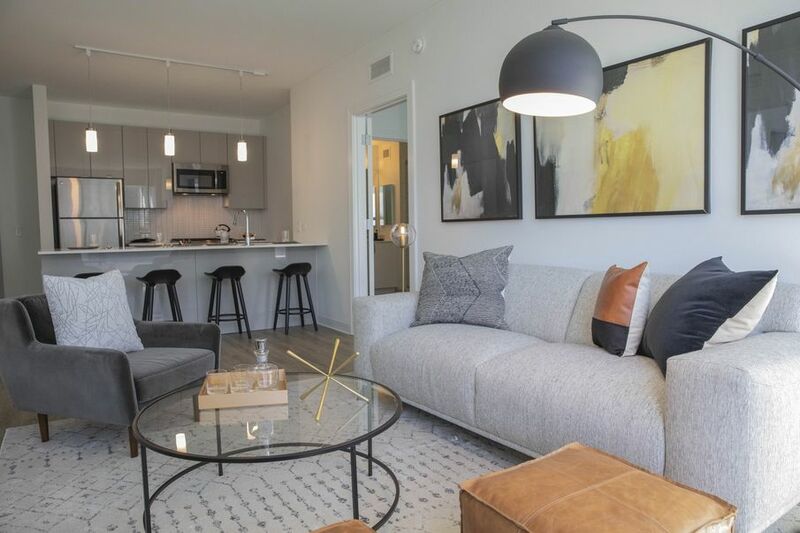 River North Property 5 features luxury rentals with in-unit laundry, granite countertops, hardwood floors, high ceilings, and lots of closet space. 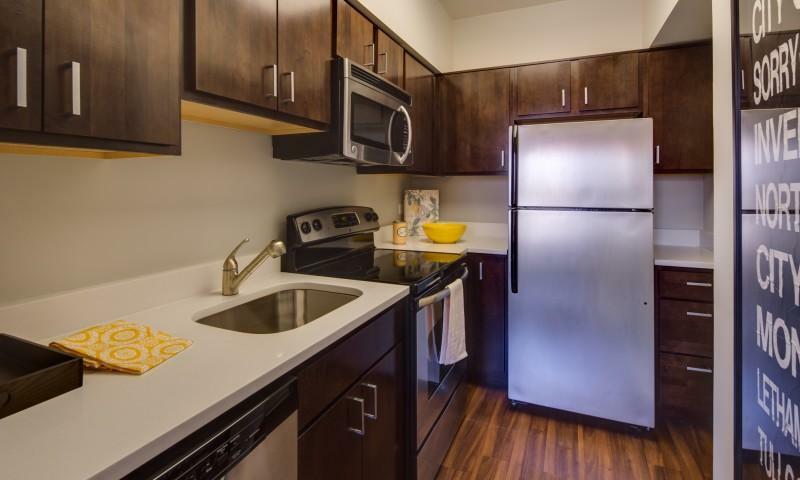 Between direct access to the River Walk, free hot beverages in the lobby, on-site dry-cleaning, 96 walk score, complementary storage, on-site dog run, and 24 hour door staff, residents love the convenience the building offers. 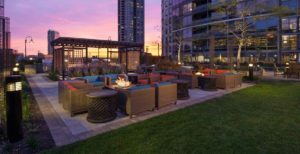 Property 43 is located in the heart of Streeterville. These spacious apartments offer abundant closet space and room for larger furniture pieces, even in most studio layouts. Large windows allow for maximum natural light and gorgeous lake views. At 600+ feet, most studio layouts at this building are larger than most 1 bedroom apartments at other buildings. Do you value space as your top priority in an apartment? If so, Property 43 may be right for you! This West Loop apartment building is offering unprecedented specials with up to 4 months free rent! Finishes are modern and luxurious, featuring quartz countertops, porcelain tile, glass stand-up showers, pendant lighting, hardwood floors, and in-unit laundry. 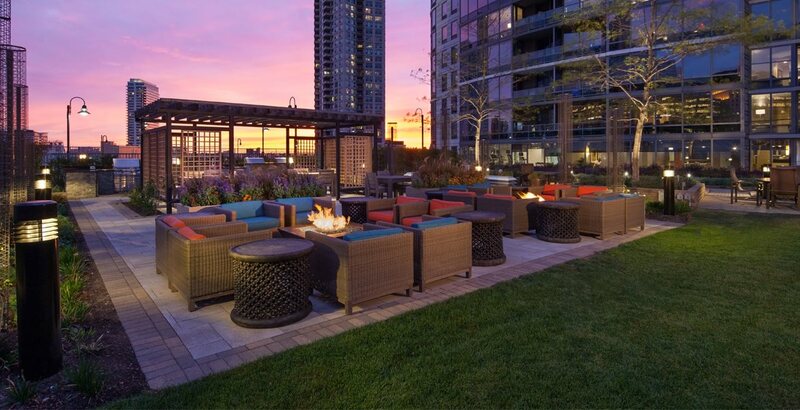 Although this property offers plenty of amenities, including a rooftop pool and a club-grade fitness center, the 4,000 square foot patio deck is one of our favorites! This is brand new property! Please contact us directly for more information.